A popular travel bazaar where the people from different parts of the world come together and exchange their experiences. Rajasthan chief minister, Ms. Vasundhara Raje will be inaugurating the GITB 2015 tomorrow at Hotel the Lalit at 6:30 pm. This 3 day travel bazaar (19-21 April 2015) will release a knowledge paper entitled “Unexplored Tourism Destinations of India” at the inaugural session. This colossal bazaar is hoping to set a record of more than 10,000 meeting, which will be showcased during the B2B meeting sessions and exhibition at Jaipur Exhibition and Convention Centre (JECC) at Sitapura in Jaipur. 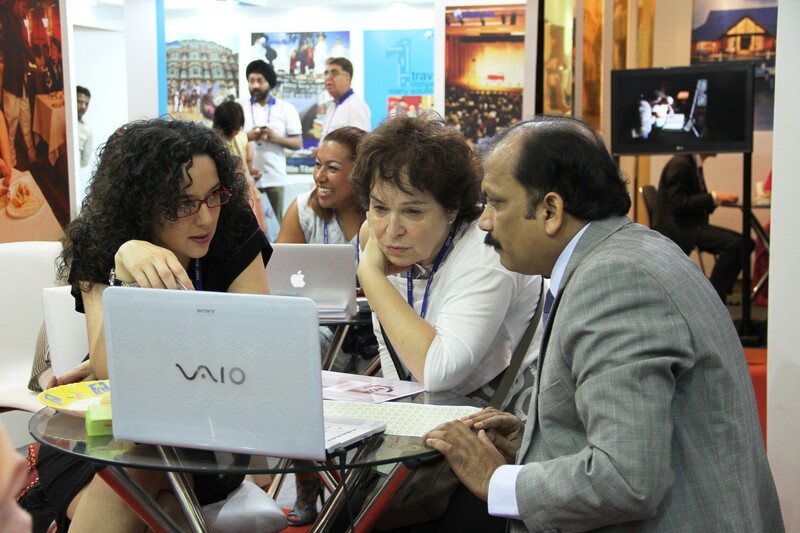 Around 11 states from India are participating in this grand event along with tour operators, businessmen and travel agents from all over the world, and approximately 46 countries as participants are attending this travel bazaar, helping India achieve its goal of a world class tourist destination and giving a boost to the tourism industry.